A succesful internet marketing strategy will always include good copywriting, but writing blog content, web content, or any other type of content is often more difficult than it seems. The content on your website is hugely important because it determines a number of factors, including how your website ranks in search engine results, who is able to find your website and how wide of an audience reach you have. Write without punctuation and in a stream of consciousness style. Your first draft will almost never be your final draft, so if you get some ideas swirling around then get them down on paper and don’t worry about proper punctuation or grammar – that will come later. Write two different descriptions of the same product or service, using the same keywords and see which one is better performing. It’s a way for you to learn what works best. Use second person – “You” – rather than using third person in the copy. Addressing the person who is reading your website as “you” is much more personal and direct than referring to them as a customer or something similar. Unless you’ve been instructed to write in an extremely formal style, casual and personable language is usually best. Consider dictation. Some people have an easier time speaking rather than writing, so you may find speaking into a recorder then transcribing it is preferble to you. Be cautious you don’t come across as too sales-y. Professional copywriting should not be “sell, sell, sell,” rather it should inform, answer questions and persuade. 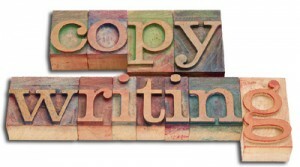 If you’d like to learn about professional copywriting services from WSI, please contact us today. We look forward to hearing from you.